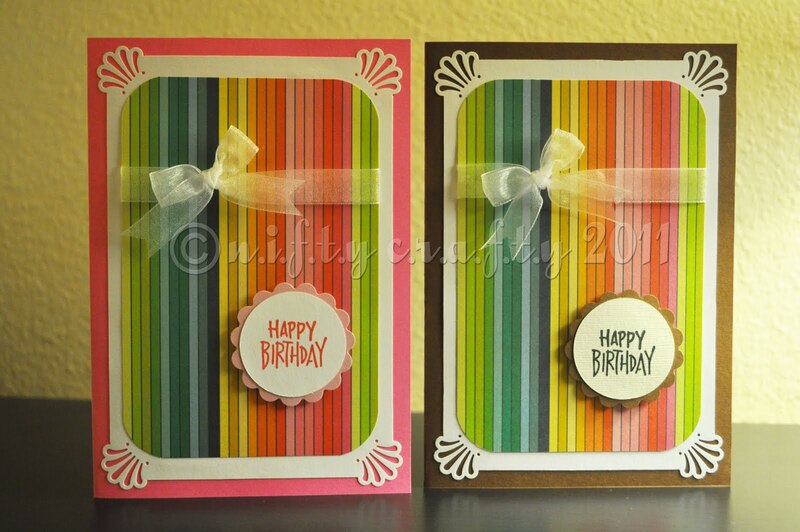 These rainbow stripes birthday cards without a doubt will put a smile on your face and perfect for birthday during the summer months! 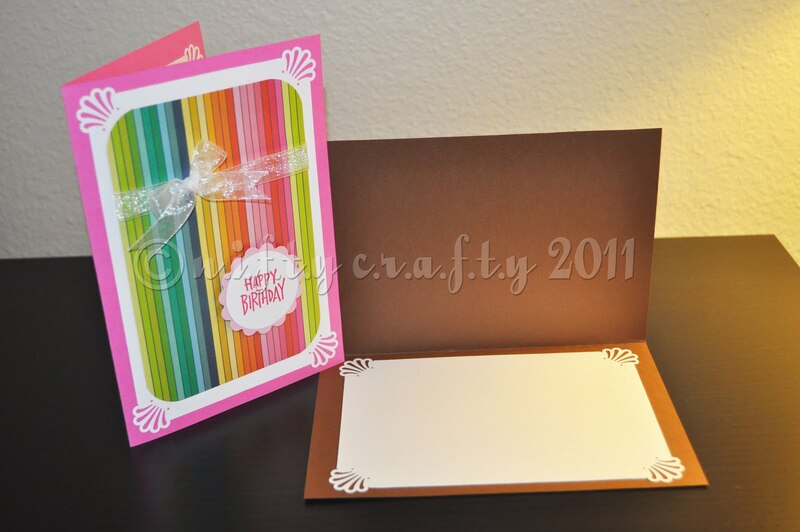 It was made with a rainbow background card layered on a white corner punched card to highlight the colors of rainbow. "Happy Birthday" is printed on a crisp white circled card and sticked on a circle scalloped card that matches the color of the base card. The whole layer is tied with a nice transparent snow white bow. This card is available in different colors such as baby pink, brown, lavender, yellow, sky blue, navy blue, purple, orange and silver. Send this card to someone special who brings wonders in your life and celebrate a cheerful birthday. The card is blank inside for you to write your personal message and comes with an ivory envelopes. Please email me if you are willing to make an order of these rainbow themed cards. Don't miss this season cards!